Hope Arrives In Little And Big Packages: IMED Ships An Ambulance! Hope is delivered in little and big packages. Sometimes really big. The Food for the Hungry International Medical Equipment Distribution (IMED) team in Saskatoon, SK has definitely received a number of outstanding donated medical supplies over the years. But this one might just win the gold medal this season. 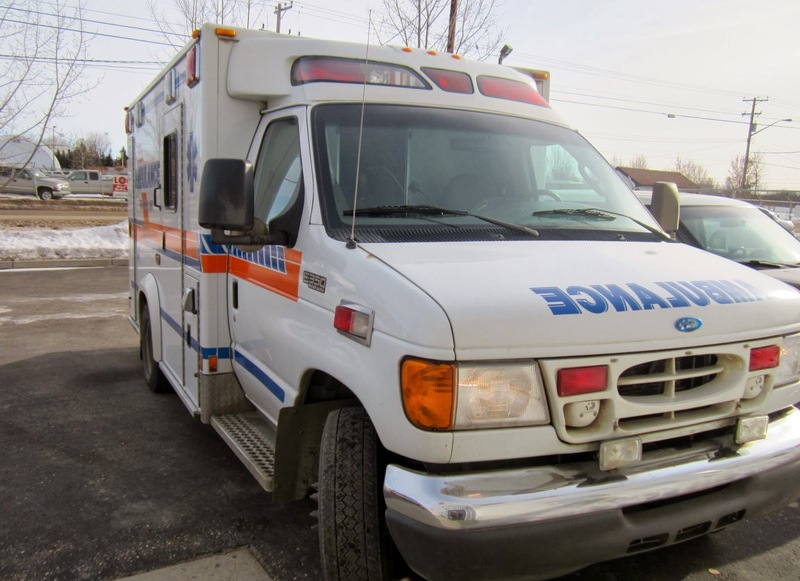 When warehouse inventory manager, Judy Johnston, first received a phone call from Melanie Watts from Cold Lake, AB and learned about the possibility of receiving a decommissioned ambulance, she was thrilled. "Ambulances are an incredibly high-demand piece of equipment to struggling hospitals in developing countries," says Judy. "But we usually have to turn those requests down because ambulances simply aren't available." 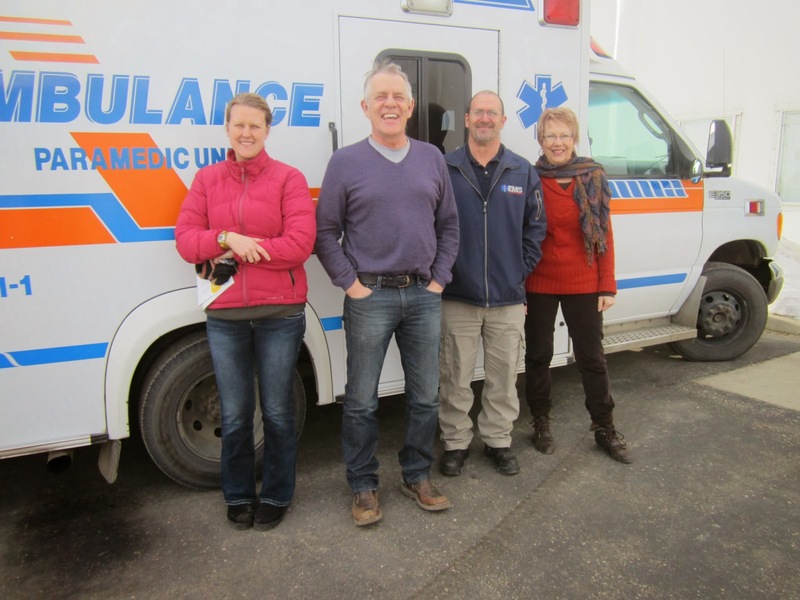 Melanie's best friend Debra Pelechosky serves on the board of a non-profit society in Cold Lake that was fortunate enough to find a coveted decommissioned ambulance. Melanie and Debra generously put forward Food for the Hungry as a possible recipient of the ambulance. On this first attempt, Food for the Hungry was not chosen as the recipient. But only a few short months later, a second ambulance was decommissioned and available for donation. Melanie and Debra were thrilled when FH was chosen this time around - and this vehicle was in much better shape than the first! "We are so thankful for this incredible donation and for the faithful efforts of Melanie and Debra. They so graciously pursued this opportunity on our behalf," says Judy. "“This ambulance will without a doubt make a life-changing difference in the region where it will be sent. Lives will be saved because of this generous gift." The International Medical Equipment Distribution (IMED) program sends refurbished hospital equipment and supplies to disadvantaged health care facilities overseas. In Canada, rapid advances in medical technology mean that perfectly functional equipment and supplies are constantly replaced, creating storage and disposal difficulties. In North America what is considered landfill is lifesaving in the developing world. Our 13,500 sq. ft. warehouse is brimming with lifesaving medical equipment including entire surgical suites, incubators, beds, crutches, surgical gloves and IV tubes. These life saving items are ready to be delivered to hospitals in the developing world. With your support, we can fill a 40-foot container with equipment and empower doctors and nurses to significantly improve the overall health of a community. FH Canada's IMED program depends on your partnership. Annually we send approximately 30 containers overseas. The average cost to ship a 40 foot container is $15,000 and the estimated value of its donated contents is $450,000. In other words, your donation towards shipping costs is multiplied 30 times over. To give or learn more, click here. Food for the Hungry: Hope Arrives In Little And Big Packages: IMED Ships An Ambulance!